Senior Director of Agriculture and Enterprise Amanda Hilligas, front row, left; Ma Su Su Aung, front row, right; VC-RD COP Nimish Jhaveri, back row left; former COP Steve Walls, back row, holding award; Senior Vice President of Programs Joyjit Deb Roy, back row second from right, with Winrock staff and members of the Myanmar coffee team. An award, a presentation and most of all ... some great-tasting Arabica. It’s not just any brew that’s revving Hilligas. It’s Myanmar Specialty Coffee, a product of USAID’s Value Chains for Rural Development (VC-RD) project, implemented by Winrock. These beans are grown on the hillsides of Burma’s Southern Shan state, air dried on raised tables — dried naturals — and (for the first time last year) shipped halfway around the globe to be roasted, cupped, sipped and praised by some of the most world’s most discerning coffee-lovers. In a single year, Myanmar coffee “went from being not even specialty grade to being really high in the specialty range,” said Craig Holt, founder and owner of Atlas Coffee Importers, who imported the first shipment of Burmese beans last year. Expo attendees seemed to pick up on that excitement, crowding Booth 917, clamoring for more of that distinctive, rich Arabica. And the cupping and sharing was just part of the weekend’s activities. On Saturday afternoon, former VC-RD chief of party Steve Walls received the Coffee Quality Institute’s Lifetime Award of Merit for his four decades of work, much of it in the coffee lands, most recently in Burma. On Thursday, April 20, Winrock’s Director of Blended Finance Pablo Ramirez kicked off the coffee celebration with his presentation at Re:co (Regarding Coffee, a high-level TED-Talk-style coffee symposium). “These are human value chains who happen to produce coffee,” Ramirez said, describing the people behind VC-RD’s landscape-altering work. Just as we de-risk transactions, Ramirez said, so should we de-risk people, building trust by listening and collaborating, increasing food security, providing income generation and more. Burmese producer Ma Su Su Aung, who traveled from Myanmar to attend the expo, is an example of such “de-risking.” Her beans earned a top-ten finish at a 2016 cupping competition, which attracted global buyers and enabled her to sell her coffee to exporters. Now she and other women farmers have banded together to form the first women’s coffee group in the area, with the goal of creating new job opportunities for women, increasing incomes and improving technology for women in the coffee business. VC-RD has supported Su Su’s coffee processing business through a grant that allows her to obtain new milling equipment to help nearby coffee villages improve the quality of coffee they produce. 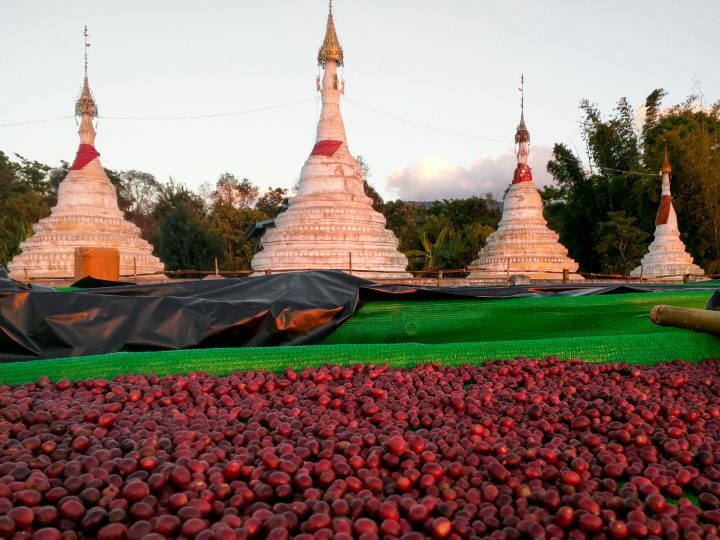 What the SCA Expo made clear was that, as Myanmar Specialty Coffee heads into its second season, it’s only getting better. “The big thing everyone was thinking was that you have to come back in year two to produce more at the same or higher quality,” Hilligas says. “And they’ve done that, and that’s apparently very, very unusual for new producers to do. It’s amazing what they have achieved.